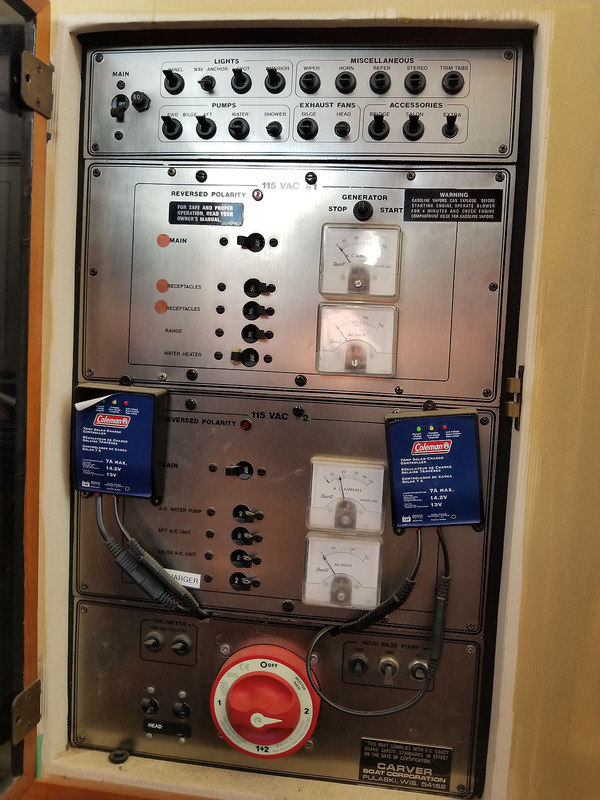 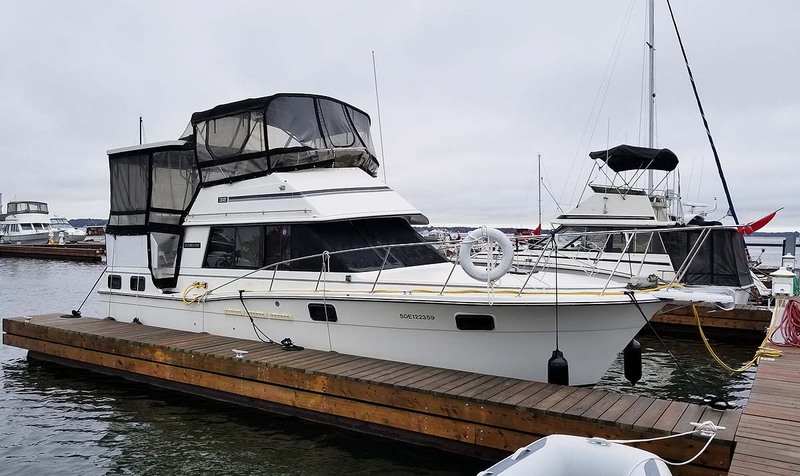 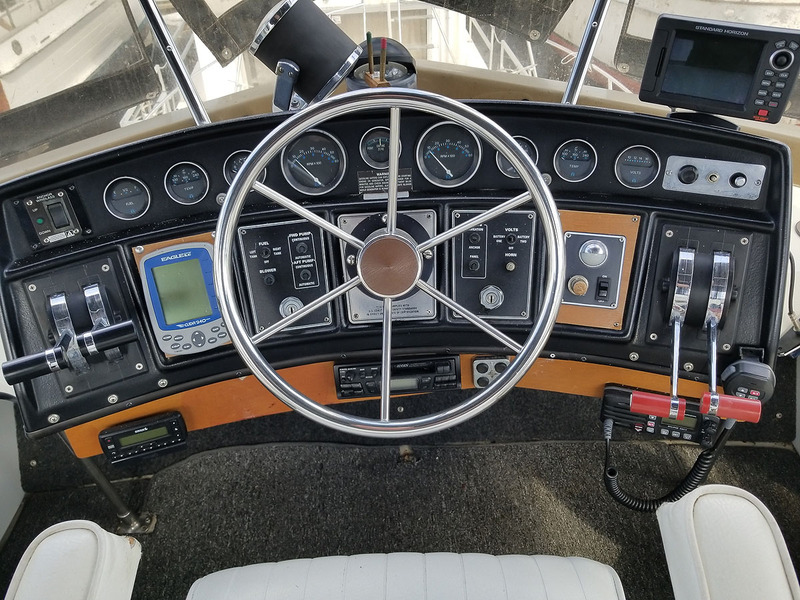 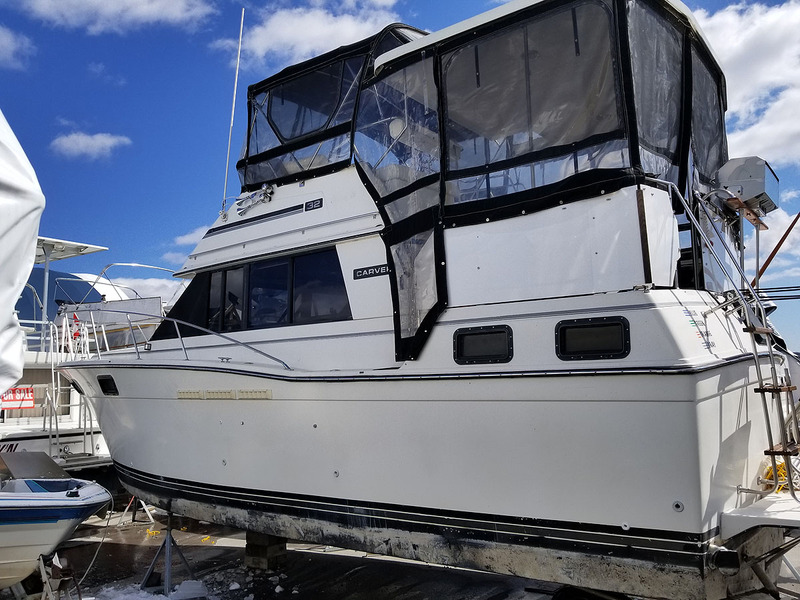 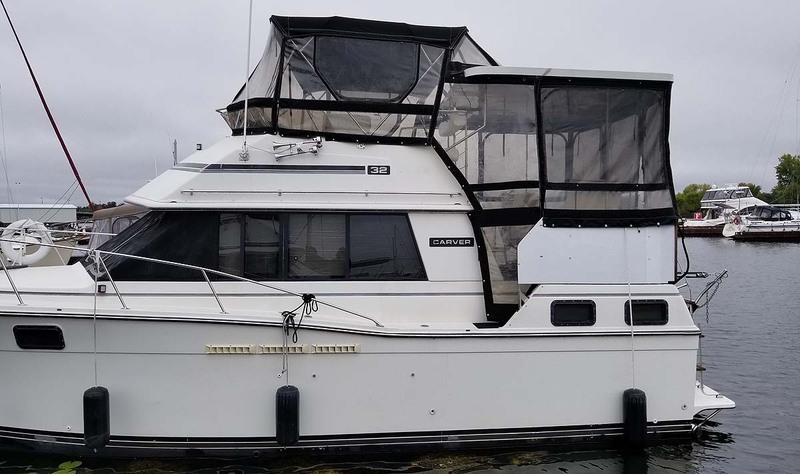 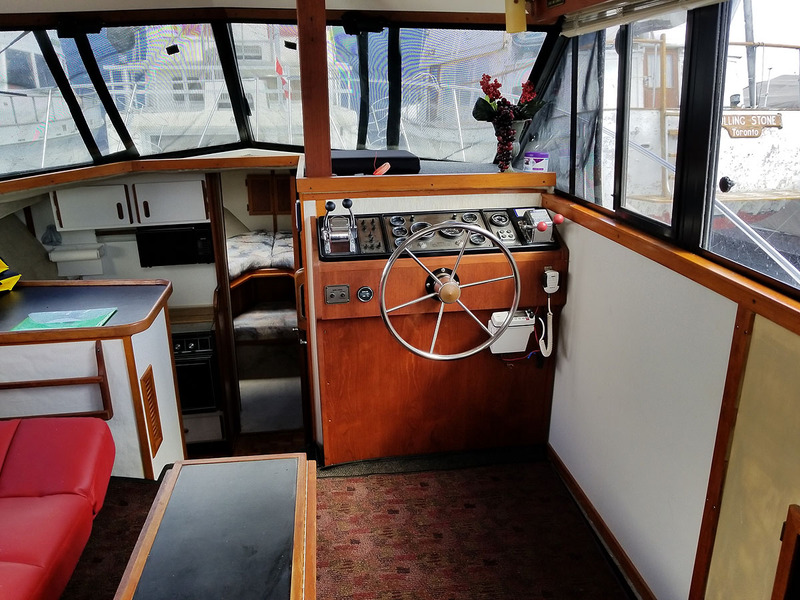 1985 CARVER 3207 AFT CABIN MOTOR YACHT FOR SALE IN THE TRENTON AREA EAST OF TORONTO, ONTARIO, CANADA SIMILAR TO THE 1984, 1986, 1987, 1988, 1989 AND 1990 MODELS. 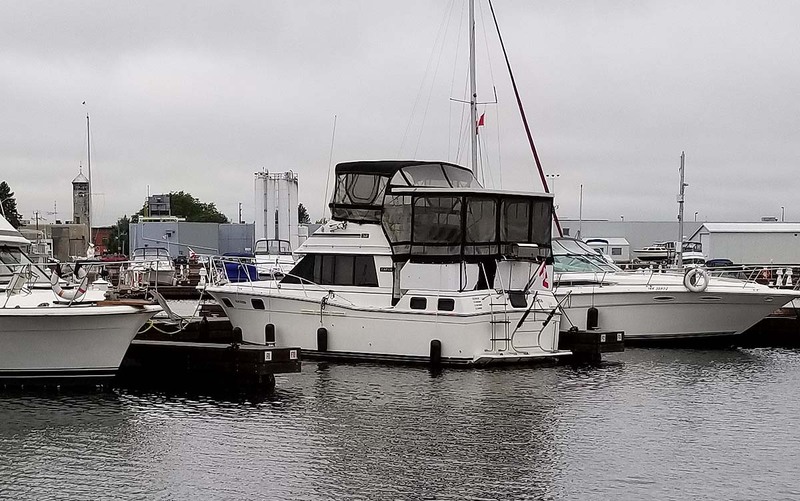 FRESHWATER ... Never out of Ontario waters. 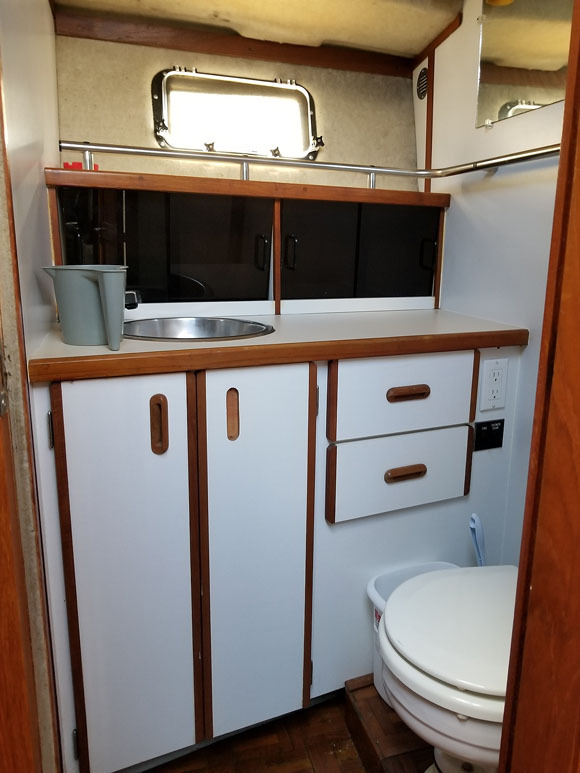 This ... is perhaps the cleanest 1985 Carver 3207 MY in Ontario ... and it's survey suggesting no repairs at all proves it! 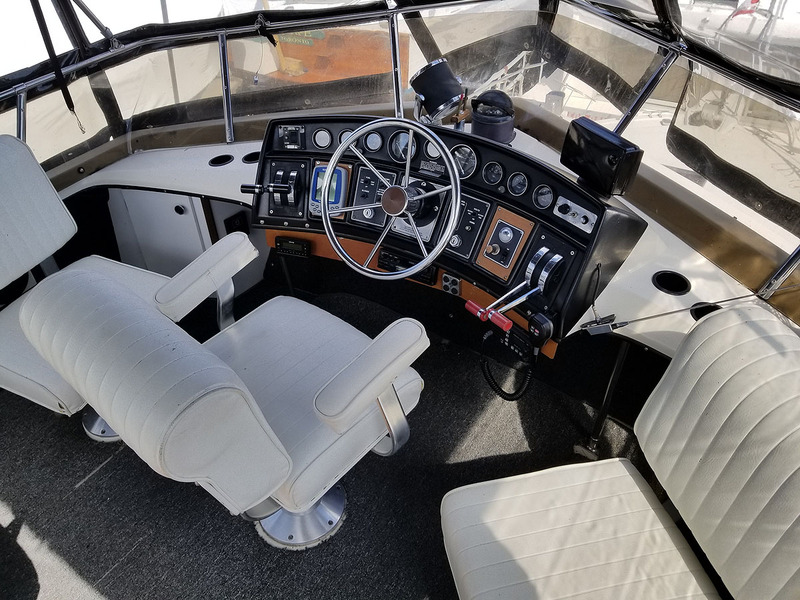 The twin 5.7 Mercruisers will give you a planing speed of about 22 MPH ... or a nice relax cruising speed of about 10 mph ... wonderfully. 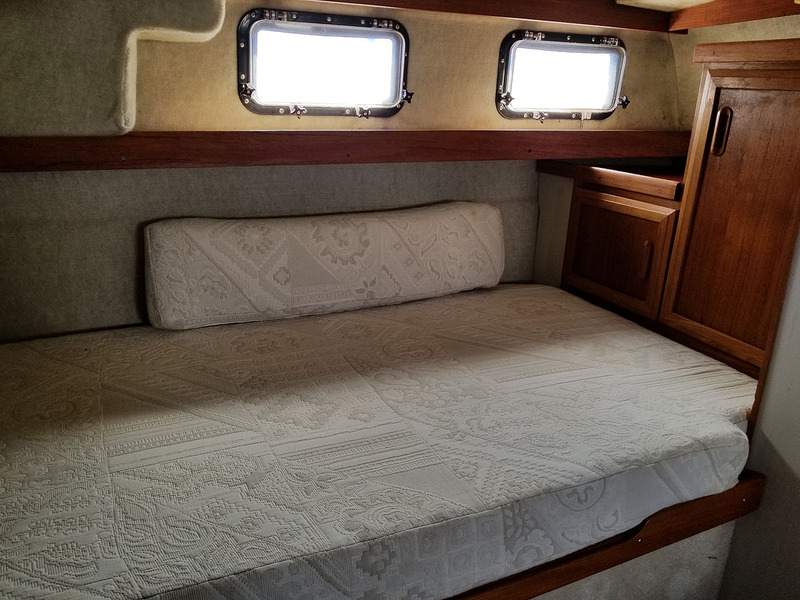 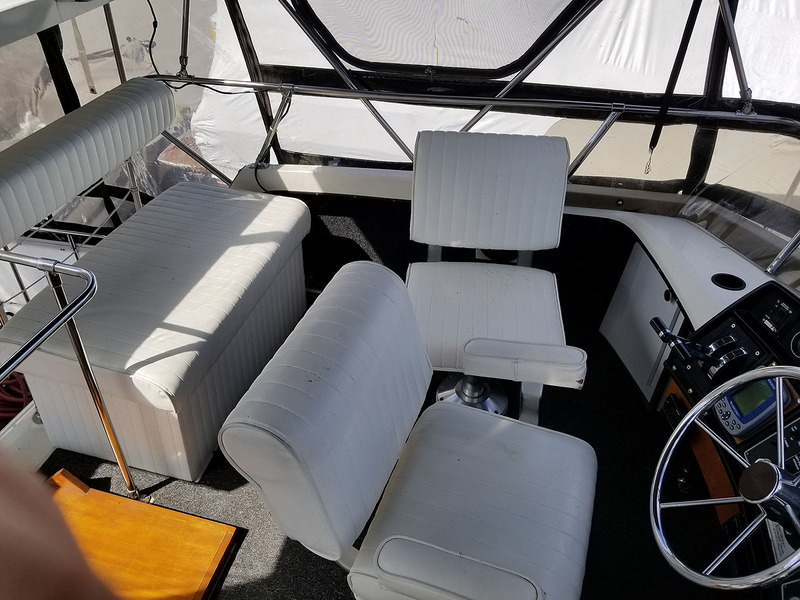 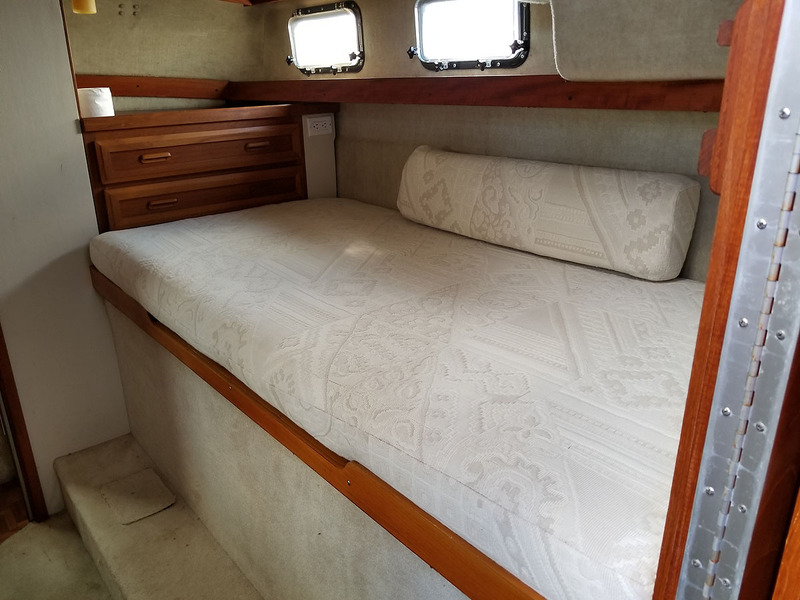 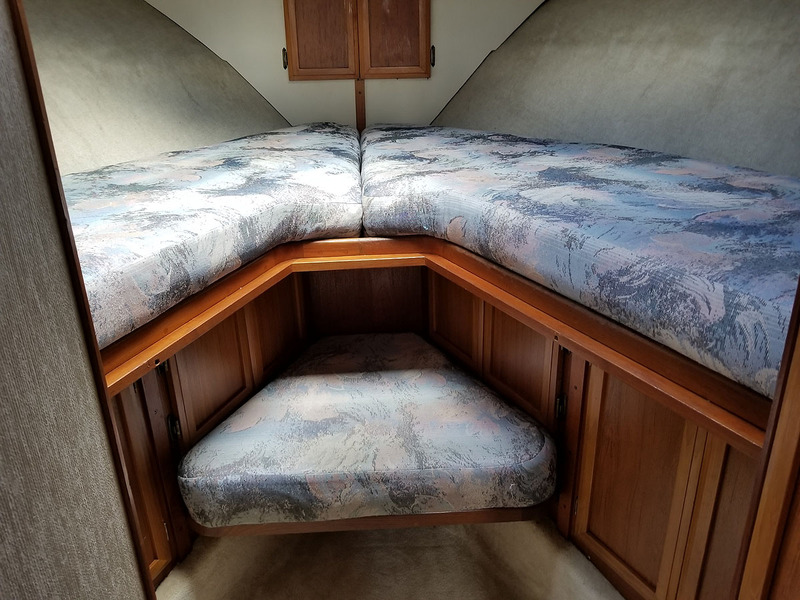 There are no upholstery repairs needed ... there is some one year old carpeting in the boat ... and there are 2 rather expensive mattresses in the aft cabin. 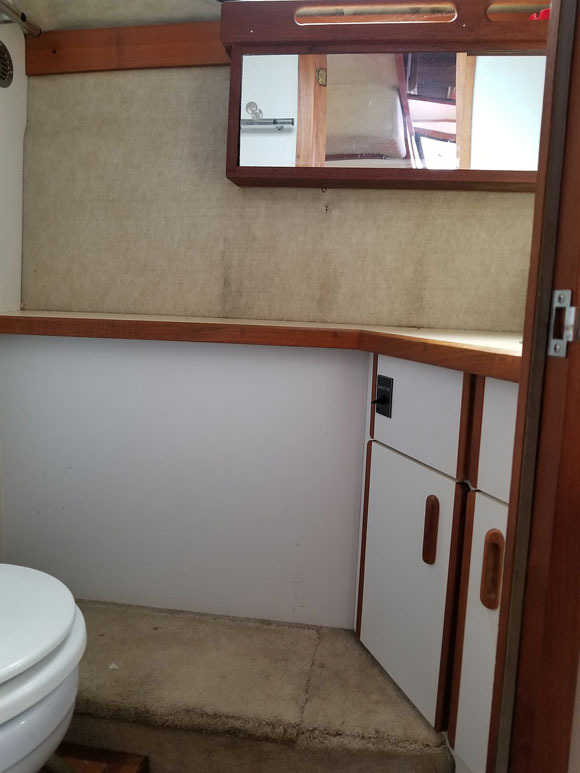 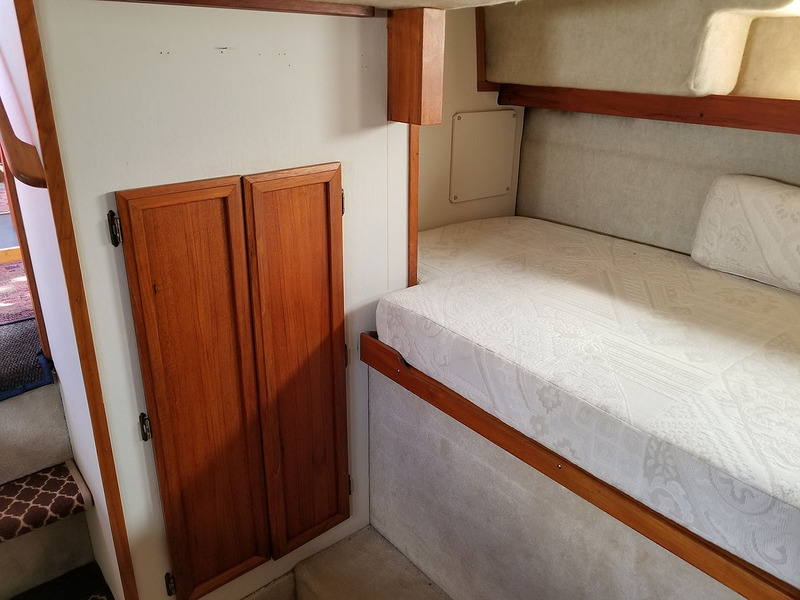 There are 2 heads ... the aft has a shower, it has a full size fridge/freezer, there is a one year old air conditioner wall mounted ... and the boat is extra extra clean. 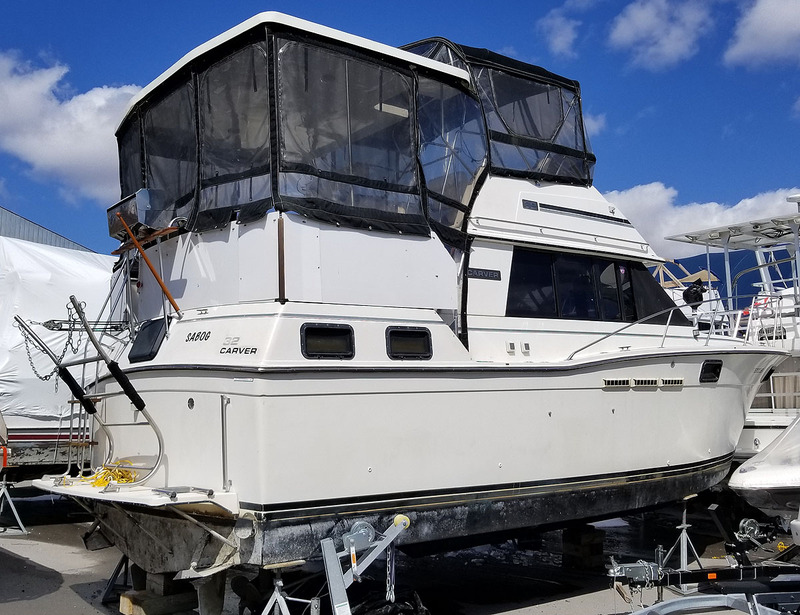 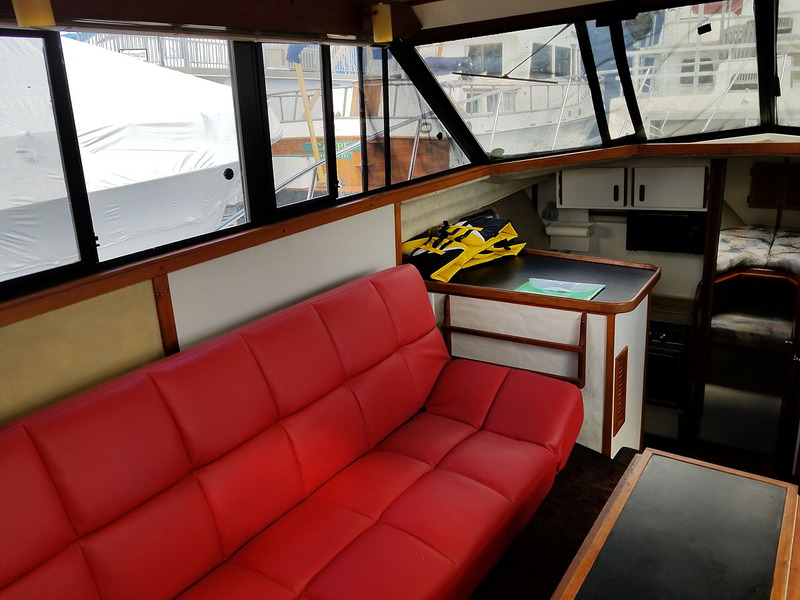 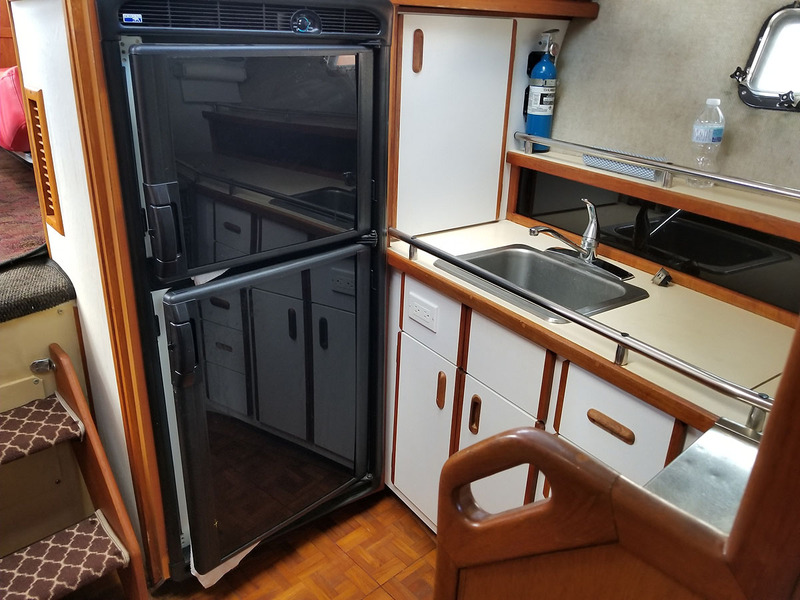 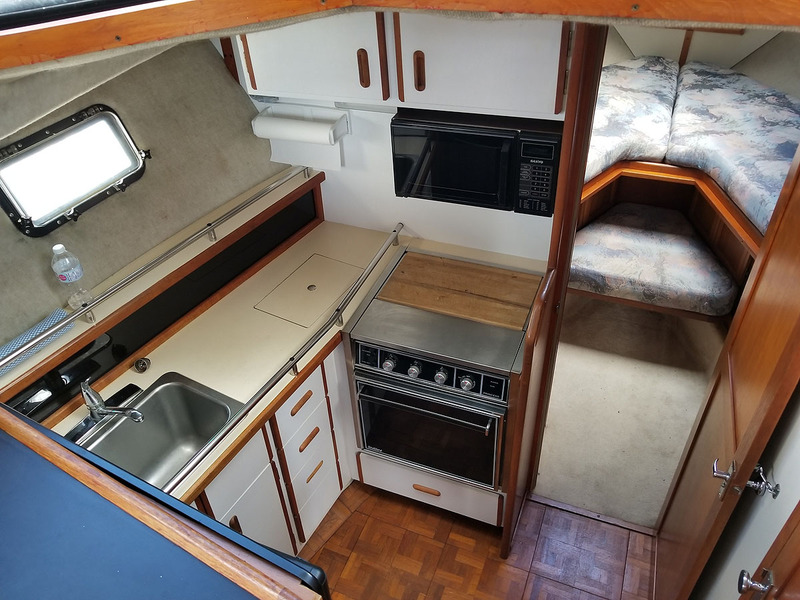 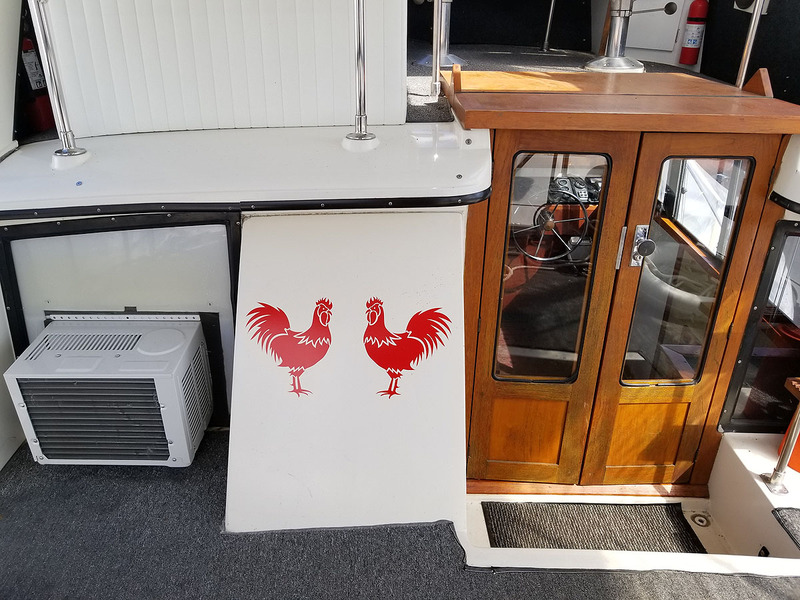 A one year old large barbeque is accessible from the rear cockpit area and a full winter tarp is included which will save a buyer the expense of shrink wrapping the boat. 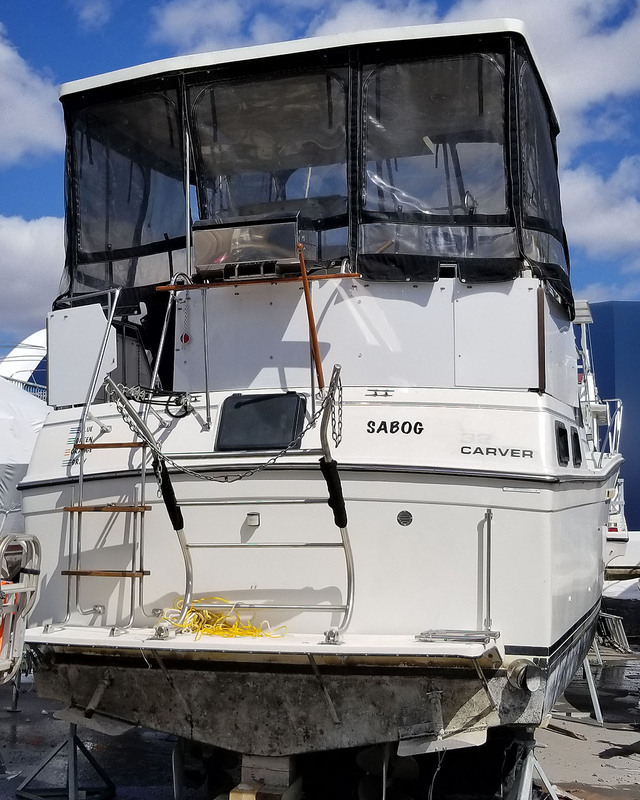 Notice that THIS Carver 3207 MY has the factory installed hardtop over the rear cockpit area. 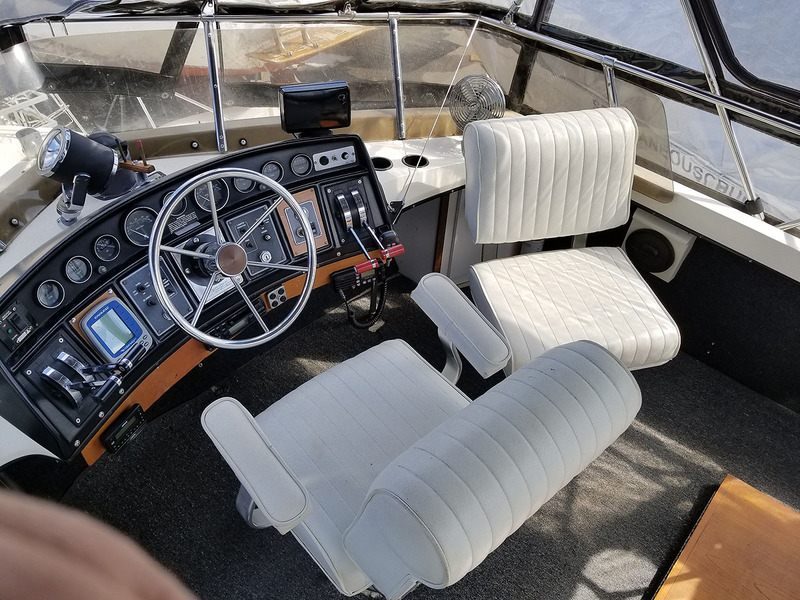 This is a rare option on 1984 - 1990 models ... and offers great shade! 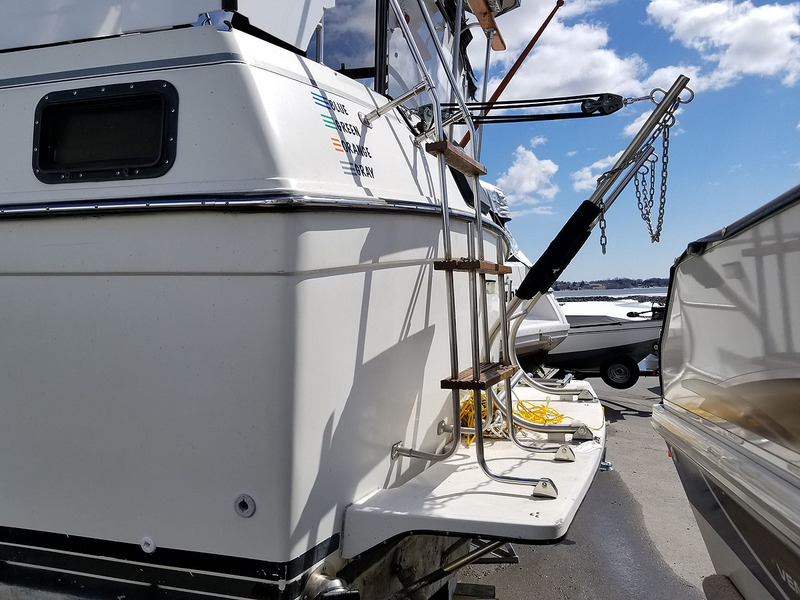 The launch date is expected to be "about" April 26th ... subject to the marina launching schedule. 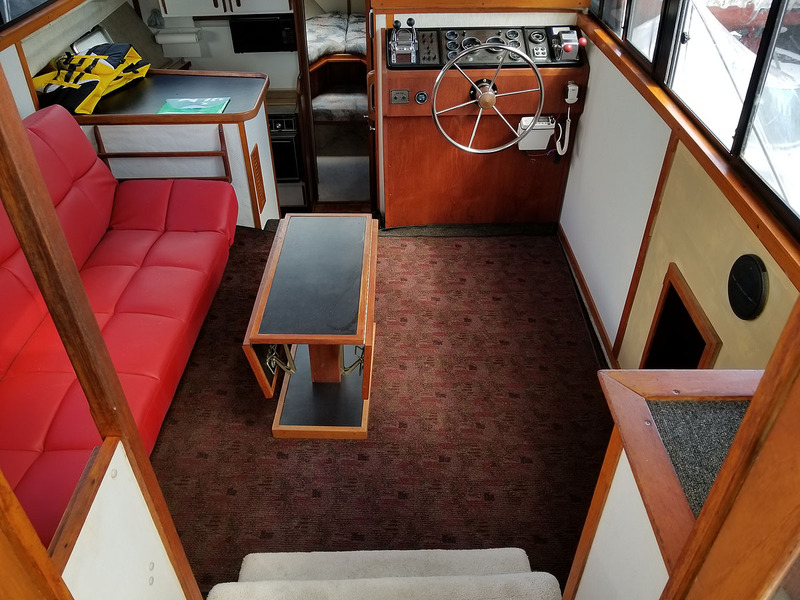 The red fouton in the cabin is not included in the sale. 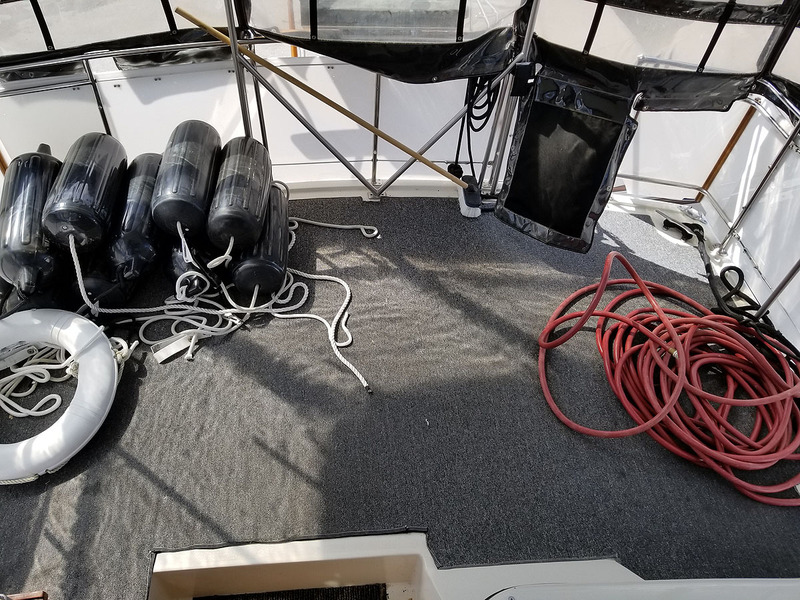 View the survey by clicking here. 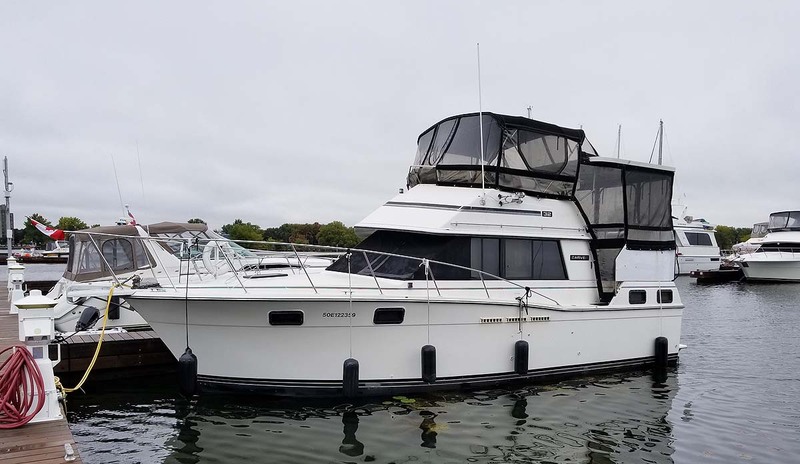 Cruisers Yachts, Cadorette and other makes of used express cruisers & motor yachts located at marinas in the Kingston, Whitby, Bowmanville, Cobourg, Brighton, Trenton & Belleville areas in Ontario Canada.